Directs and creates the museum’s public relations programs that reaches audiences nationally and internationally. Develops and implements a comprehensive strategic marketing and communications plan that includes long-and short term media and public outreach. Works to build awareness of and participation by diverse audiences in its programs, exhibitions and initiatives. Develops strategies to strengthen the Museum’s relations with key constituencies and diverse audiences and to heighten local presence and the national and international visibility of the Museum. Develops and manages broadcast and print interviews with the Director, curators and other museum experts. Develops and expands media relations effort to foster relationships with influential design and art and general media outlets and to secure strong levels of print, TV, radio and Web features, interviews and reviews locally, nationally and internationally. Serves as the senior communications and marketing expert in building the Cooper Hewitt brand through innovative public relations and marketing campaigns that provide a foundation for fundraising, including media relations, crisis communication and reputation management, project and budget management, graphic design, social media and digital marketing. Oversees four staff: Press Manager/Associate Director of Communications & Marketing, Writer, Graphic Designer and Social Media Manager. Leads, manages and develops staff to achieve individual and team potential for job satisfaction, productivity and advancement; sets short and long-term performance goals; selects, coaches, trains and evaluates staff; contributes to a safe and positive workplace and ensures equal employment opportunities. Manages and oversees staffs work flow and prioritizes assignments/projects to ensure that deadlines are met. Implements retention strategies to make employees feel valued and engaged. Trains/develops and mentors staff. Ensures staff are kept up to day with regular and on-going staff meetings and other forums. Supervises, trains, develops, and evaluates staff to improve employee skills and effectiveness and to provide maximum productivity. Approves personnel actions for selection, promotion, awards, discipline and termination. Responsible for approving and managing all leave requests for ensuring the Department is accurately covered at all times. Conducts performance evaluations to maintain efficiency and adequacy of work performed by staff. Responsible for annual performance evaluations and feedback for all staff ensuring that midyears and evaluations are prepared timely. Recommends, justifies and approves all overtime for the staff ensuring that OT is only performed as needed and adequately justified within budget. Establishes and maintains effective working relationships with members of the news media, design & art community in domestically and internationally. Responsible for briefing the director and senior management team to ensure they are fully communicated with and informed on all communications & marketing campaigns for the museum. Works collaboratively with Curatorial, Digital, Education, and Shop teams to develop and manage an integrated plan of programs, marketing, promotion events and services that will enhance the image, increase and diversify attendance and support, and improve visitor satisfaction. Oversees visitor research and audience segmentation strategies, identifying potential new audiences and/or visitor services needs and determining most appropriate way to achieve goals. Directs and manages a wide variety of external communication materials including talking points, speeches and statements; general information and special purpose brochures; exhibition announcements; press releases, education and other program promotion; web content advertisement and donor communications. Collaborates with staff and offices to conceptualize and direct enhanced special events, promotional and partnership programming (educational events, exhibition openings, National Design Awards Gala, etc.) 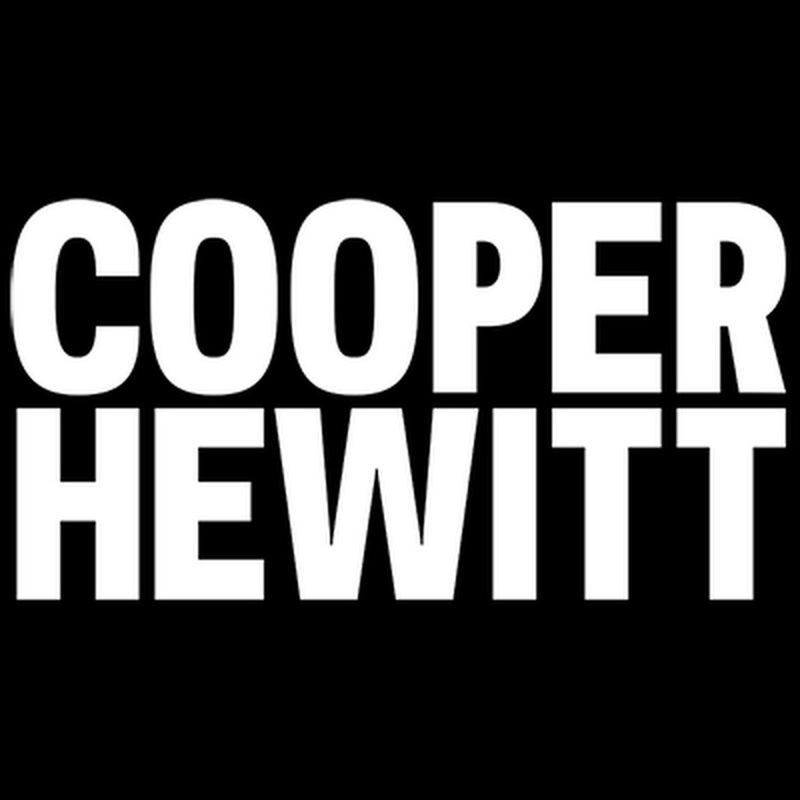 to cultivate new audiences for Cooper Hewitt, raise visibility and to create a “buzz.” Serves as the Cooper Hewitt liaison with Smithsonian Institution offices, including Communications, External Affairs, Special Events and Government Relations, Smithsonian Visitors Information and Associates Reception Center and Product Development and Licensing. Expertise in principles, methods, practices and techniques of public and stakeholder communications, media and publicity campaigns, and public relations strategies. Expertise in public/media relations, advertising, promotions, market research, publications and special events in order to effectively communicate and promote the Museum. Experience developing and implementing a comprehensive marketing & communications program for a museum. Knowledge of existing and emerging information and communications technology used in digital media, including photos, video, webcasts/webchats, streaming media, and Web 2.0/social media technologies. Experience applying the principles methods, practices and techniques of print and digital media communication (e.g. audio-visual, newspaper/magazine communication, and production techniques, as well as new technology and computer resources). Outstanding writing and editing skills to convey complex information to a variety of audiences with diverse levels of understanding about Cooper Hewitt. Skilled in a wide range of written communication principles, practices and techniques to develop highly successful communications goals and strategies. Skilled in executing communications campaigns to reach a variety of stakeholders nationally and internationally. Skill in oral communication to respond to criticism of the Museum, to explain and promote its programs in a wide variety of complex situations and circumstances. Ability to consistently meet extensive deadlines and manage multiple projects. Skill at managing complex and highly sensitive projects that involve multiple departments within an organization. Proven leadership skills and ability to influence and engage direct and indirect reports and peers. Ability to recruit, train, motivate and manage staff; provide leadership and establish sound, collegial working relationships and demonstrate good judgment. Knowledge and appreciation of historic and contemporary design.